Attorney Robert Hale received a Bachelor of Arts in Political Science from the University of North Carolina at Chapel Hill in 1990, and also received a law degree from the University of North Carolina at Chapel Hill in May 1994. Mr. Hale was admitted to the North Carolina State Bar and licensed to practice in September 1994. Following law school, Mr. Hale served as a Research and Writing Specialist with the Office of the Federal Public Defender in the Eastern District of North Carolina. Mr. Hale later served as an Assistant Federal Public Defender at the same office. As an Assistant Federal Public Defender, Mr. Hale represented hundreds of clients charged with federal crimes in the United States District Court, in the United States Court of Appeals for the Fourth Circuit, and on petitions for certiorari to the United States Supreme Court. Mr. Hale left the Office of the Federal Public Defender in 1999 to open his own private law practice in Raleigh, North Carolina. Mr. Hale continues to represent defendants charged with federal crimes, and has also represented hundreds of defendants charged with state offenses ranging from traffic infractions to murder. Mr. Hale is licensed to practice in all North Carolina State Courts. 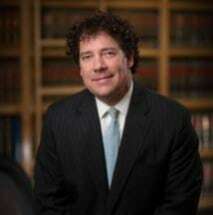 He also has been admitted to practice in the United States District Court for the Eastern and Middle Districts of North Carolina, the United States Court of Appeals for the Fourth Circuit, and the United States Supreme Court.